In the early days, cows were considered valuable production tools as they were mainly used to plow fields. Because farmers had a close relationship with these animals, the early residents of Taiwan did not consume beef. This gradually changed after 1949 when large numbers of mainland Chinese soldiers and their families relocated with the Republic of China government to Taiwan. According to accounts, Taiwan’s own “Sichuan-flavored” beef noodle soup was first cooked up by a military family living in Kaohsiung’s Gangshan area. 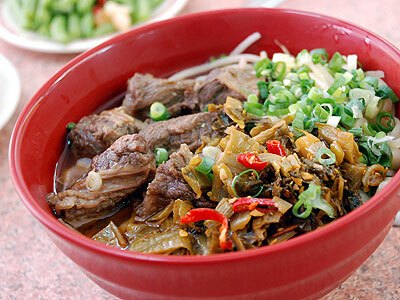 Nostalgic for the tastes of their hometown cooking, they used Gangshan’s famous spicy bean paste to make a small bowl of soy sauce-braised beef and served it with noodles. Although the dish was inspired by Sichuan flavors, it is not commonly seen in that province. The consommé variety, meanwhile, is said to have originated in halal beef noodle shops. (Halal refers to the custom of slaughtering and cleaning animals in accordance with Islamic law.) In subtropical Taiwan where temperatures can get high, the light flavors of beef noodles in clear soup make it a perfect and popular choice in the summertime. In addition to the consommé and soy sauce flavors, new variations are constantly being created in Taiwan. The noodles are now also served in curry, tea infusion, Shanxi tomato broth, hot chili, or gravy, and are also made with the “three treasures” (beef, tendon, and tripe). 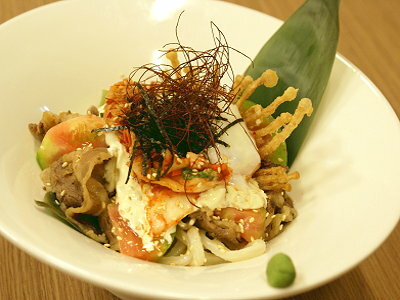 Creativity is the basic ingredient for the Taiwanese cooking. 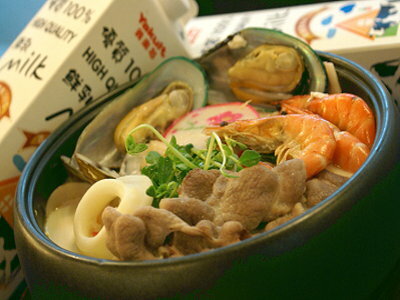 Because of the many inspirations from the Asian courtiers, but mainly Chinese and Japanese, the Taiwanese cuisine tried to unite all the techniques, styles and general rules of the cooking, add a lot of creativity to the foods and create a special and famous cuisine, now recognized and valued in the whole world. The Taiwanese people carried on the traditions through their cooking and all participated to the cultural Tahitian cuisine, which is unique, exotic, fresh and spiced and for the Tahitian chefs, the most important aspect is that their food tastes original and natural.